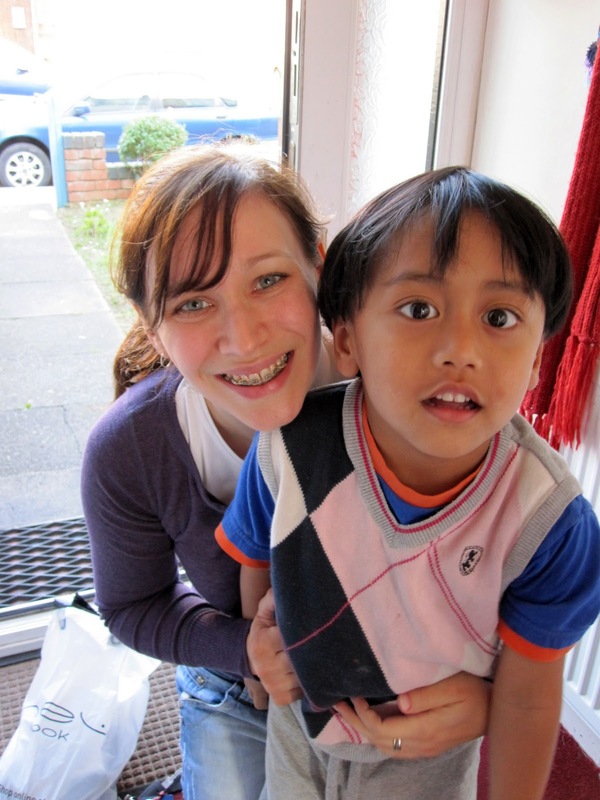 We were delighted when Sarah mentioned that a lady she knew was willing to volunteer with us. Of course we readily accepted and Helena came to visit us yesterday. Imaan takes quite a while to settle down with new people but we were pleasantly surprised that Imaan readily took to Helena. They were in the play room for around half and hour. He also said her name "Helena! Helena!" quite clearly. 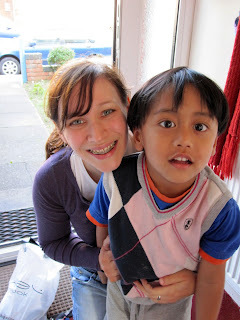 Helena has been volunteering with other Son-rise children as well and she is highly experience about the 3 E's (Energy, Excitement and Enthusiasm) and about joining (with Imaan's isms) as well. We were also excited after learning that her MSc research looks at the Son-rise programmes carried about by various parents here in the UK. I am sure a lot of other parents and professionals are interested in her findings as well. Every time we see a professional (in autism), they will always point out that "there is no empirical proof" that the Son-Rise programme works ignoring the experiences of thousands of Son-Rise parents around the globe. We wish Helena all the best in her research and hope to see her again soon. If you are interested in volunteering, please visit our Volunteering page for more information. A couple of minutes ago, we were rolling around with tears in our eyes laughing, listening to Imaan sing "Helena, Helena" to the tune of Jingle bells. Imaan can just be sooo funny!